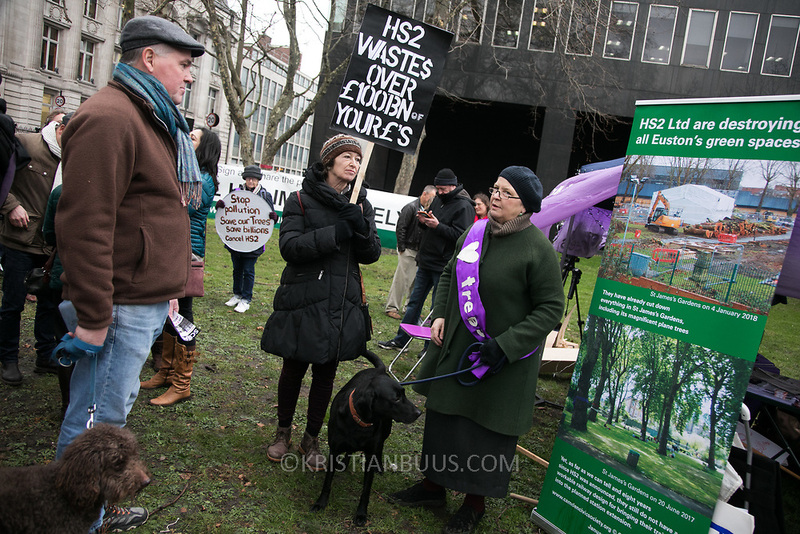 Protest against the HS2 project at Euston station. The high speed train line prject from London to Birmingham will take 17 years to complete and cost an estimated £100b. Locals in Camden staged a protest to highlight this fact in an attempt to stop the project. Vicar Anne Stevens and local resident Jo Hurford chained themselves to one of the many trees which will be cut down by HS2 to make way for the new train station.